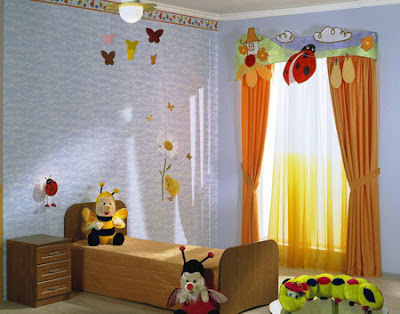 A beautiful, comfortable and comfortable kid's room for a child is the dream of every parent. Everything is important here, but first of all, you need to consider who will be the owner of the room - a girl or a boy? For young gentlemen, you need more space, simple and reliable furniture, high functionality and security of space and appropriate textile design. 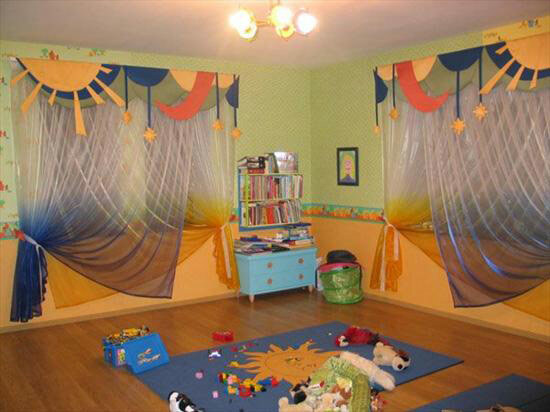 Today we present a collection of curtains for kid's room for boys, figuring out what factors need to be taken into account, and how to make the right choice? 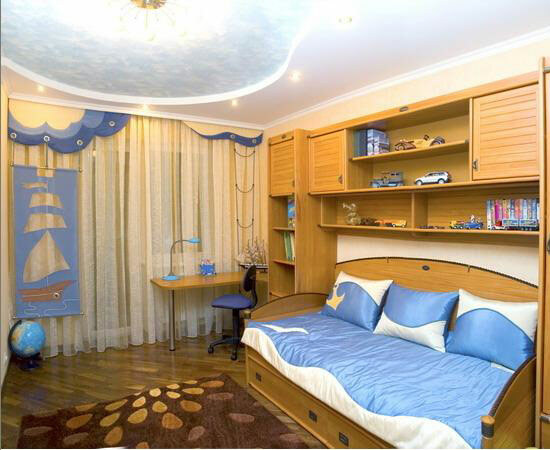 In order to create a truly comfortable kid's room, in which it will be pleasant to play, engage and grow a young man of any age, all elements of the design of the room must meet certain rules. 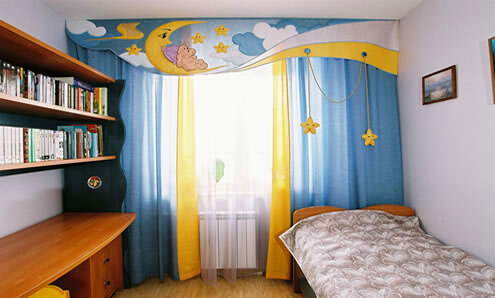 It is best to heed the recommendations of psychologists and doctors, as well as take into account the opinion of designers who specialize in the design of rooms for kids. So, by what rules should you choose curtains in the kid's room for the boy? Take into account age. The needs of the child are changing. 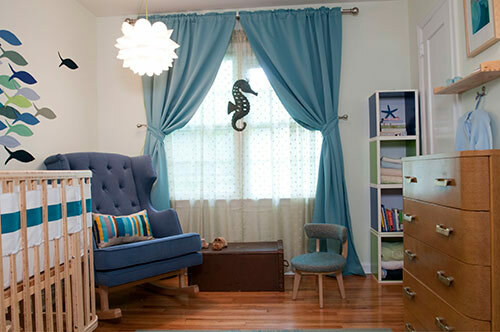 For the baby, the main thing is coziness, peace, and security, for the growing up baby, comfort and the opportunity to study the world around, play and develop without hindrance, a comfortable and functional work area for the youngest student, where he could be engaged. A teenager needs the opportunity to realize their plans, express themselves and at the same time, feel their need and relevance. 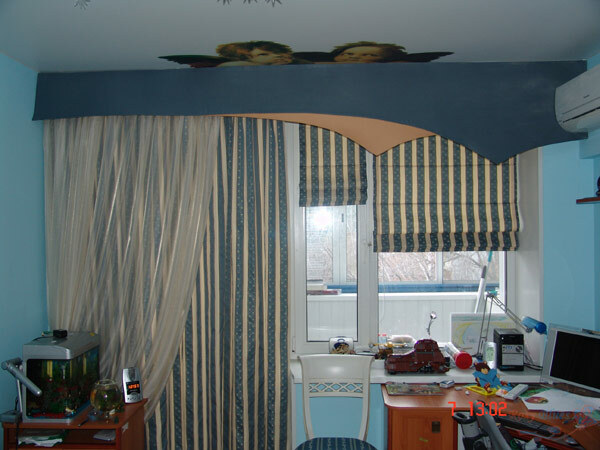 Do you think, where are the curtains? 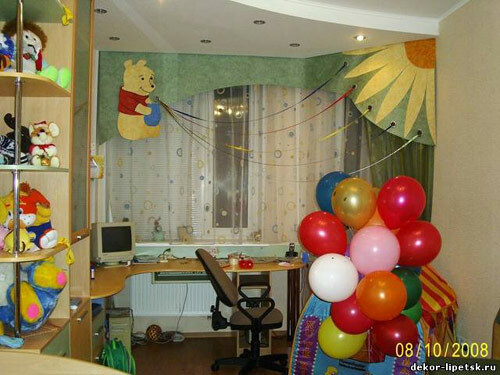 But after all, they exert a great influence on the formation of the atmosphere in the kid's room. Take into account the nature and temperament of the child. 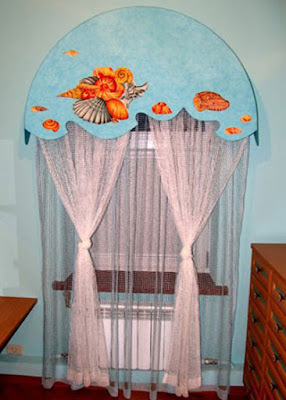 Active kids should not choose multi-layered structures, with chain or rope control, a restless child does not fit too bright curtains, and a painful boy should not hang in the room neutral curtains of faint shades. 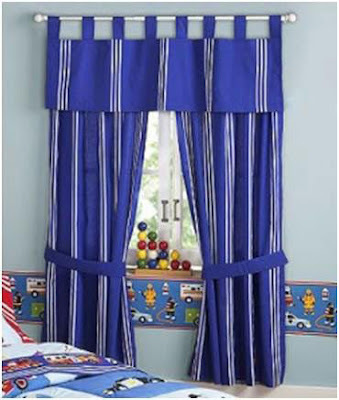 Too expensive fabrics for kid's curtains or complex technological solutions are also inappropriate. With curtains, anything can happen, so be prepared at any time to change them. Consider safety requirements. 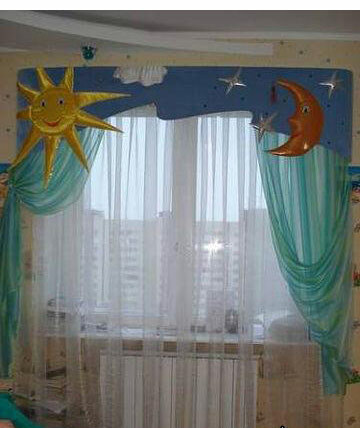 For small kids, curtains must be made of natural, natural materials. Do not use lead-based dyes and other compounds that can evaporate the negative effects on health. 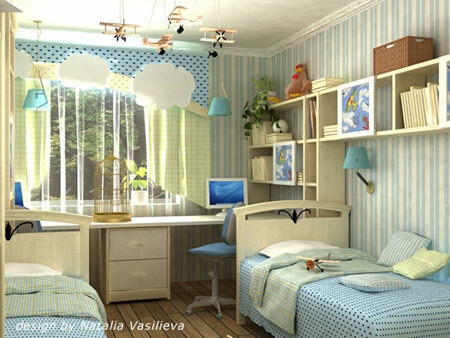 The kid's room should always have enough light and fresh air is available. At the same time, it is necessary to provide effective protection against excessive and untimely lighting. 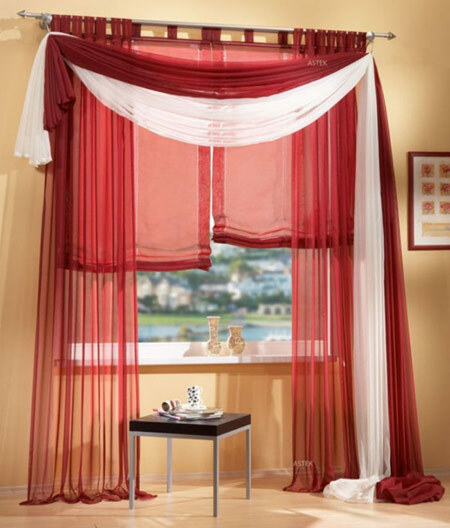 That is, the curtains must be sufficiently dense to not pass light, but it is easy to open and maximally release the light opening. The abundance of tissues, a large number of additional decorative elements can become a source of dust accumulation, which is not useful for the grown-up child. Various laces, fringes, ropes, and chains are often the focus of attention of kids who begin to play with them and can cause themselves personal injuries, entangled with a pen or fingers in such elements. 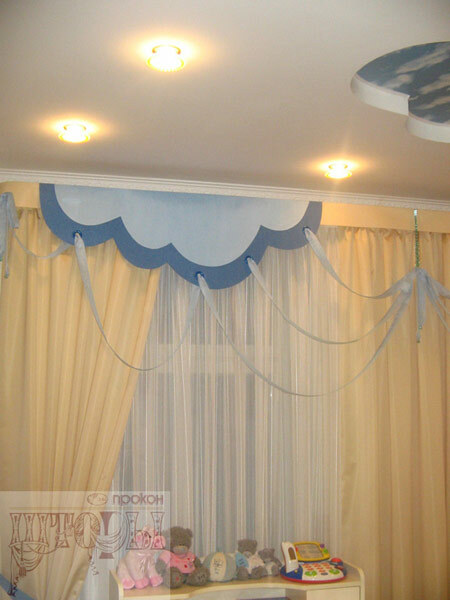 Therefore, choosing the design of curtains in a kids room for a boy, one should prefer simple, functional and safe options, with a minimum of decorative elements. Consider the size and configuration of the kid's room. 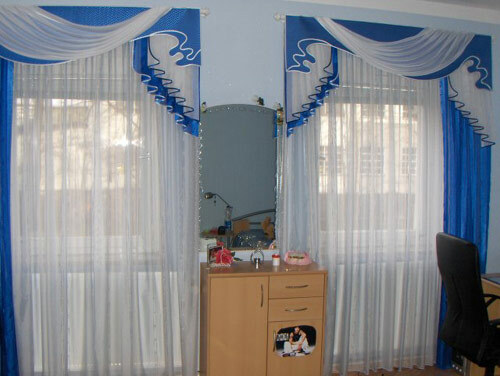 The smaller the room, the more minimal the design of the curtains. 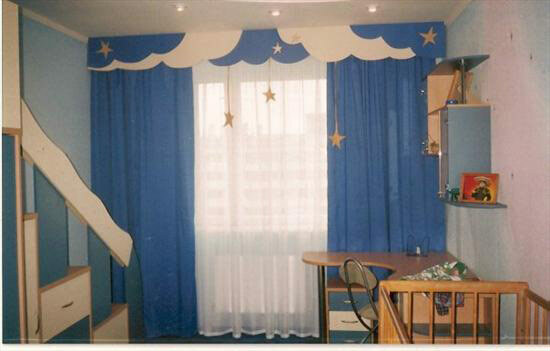 The color of the textile design of the kid's room, like the overall color design, should be chosen, focusing on the characteristics of age perception. How to choose boys curtains and kids curtain colors:? If you want to create the most comfortable atmosphere for a boy, then when choosing curtains, you must consider the influence of color on the kid's psyche, as well as age features. Everyone knows its activating function. However, for the kid's psyche, this color is too strong. Its excessive abundance can cause aggression, provoke increased emotional excitability. A child in a room with red curtains will find it difficult to calm down and adjust to an evening rest. However, if you take the red in its muted version, for example, pale pink, then this color becomes one of the most harmonizing. It is not customary for us to use pink color to decorate boys' rooms, but as drawings or patterns on curtains of gray, steel, blue, pink can also be present in the kid's room. 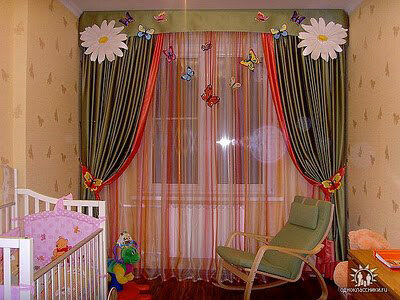 It is most desirable to use it in the design of rooms for babies since pink is the color of tenderness and spiritual comfort, it will help the baby feel nice and relaxed. 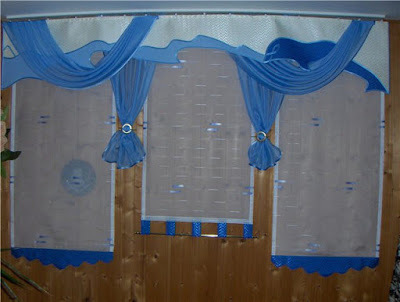 its closest shade - blue, most often used as basic for curtains. Blue has a fairly strict, disciplining effect. He helps to concentrate, however, has a retarding effect on the psyche. It suppresses physiological functions, for example, appetite. 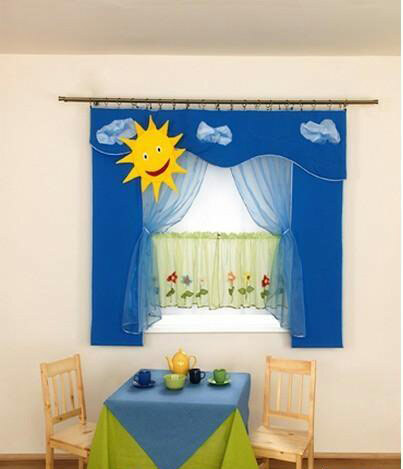 Therefore, it is better to use blue in conjunction with warm, saturated shades that balance the effect. Blue in combination with white is considered a cold and official mix, but blue with orange, peach, terracotta or sunny shade of yellow is a very good choice for curtains in a kid's boy. 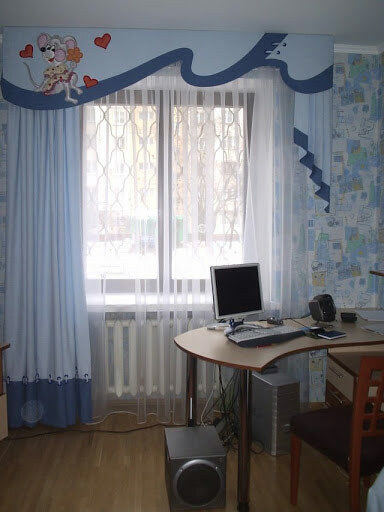 The blue color, although it has a greater relaxation effect than blue, will not allow you to concentrate properly. It provokes a dreamy, relaxed mood. Therefore, it is well suited for decorating the room of an active boy, overly excitable, which is difficult to cope with emotional differences. For the schoolchild, blue curtains are not recommended, they will distract him from his studies and prevent him from gathering his thoughts. perfectly stimulate physiological functions. They perfectly fit in the kid's room, which lacks light, in a dark or low-salinity room. 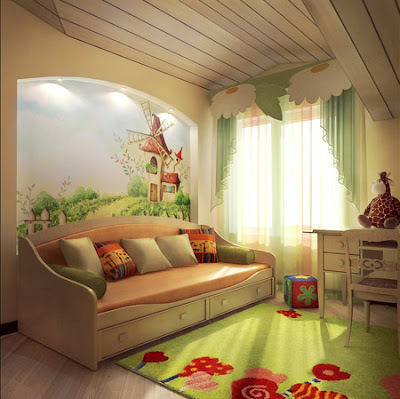 The morning light rays will be painted in pleasant sunny tones, which will help to cheer up the occupant of the room and compensate for the small amount of sun. Harmonious orange color curtains and in various combinations. It looks wonderful with blue, green, and even white. has a tonic effect on the nervous system. It stimulates but does not tire. 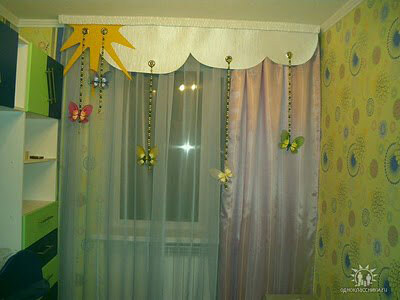 That's why for kid's little boys very often choose yellow curtains of different shades, the most popular of which is a delicate creamy. This tone can be an excellent background for drawings and patterns of a variety of subjects. is one of the most natural. It is pleasant to the eyes, has a healing effect on physiological and psychological indicators. It is safe for eyesight, does not tire and does not overload the body. 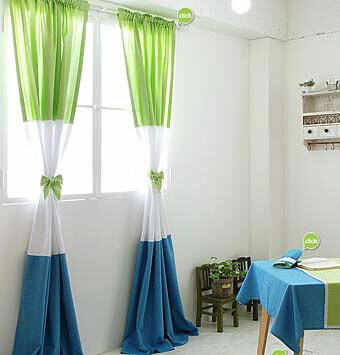 Green can be used, literally, in any quantities and combinations. 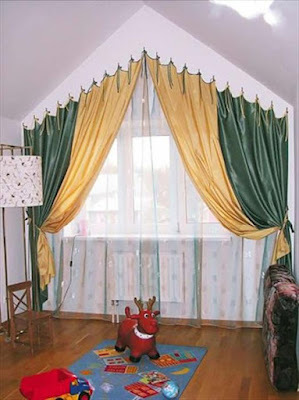 Superbly look light green curtains with dark floral patterns of coniferous hue. 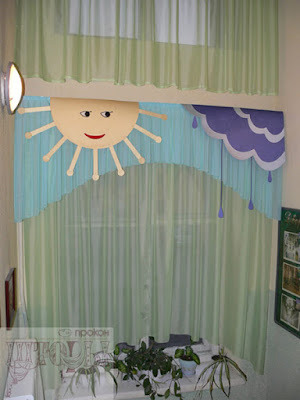 If the boy is prone to melancholy, then the green curtains need warm additions. 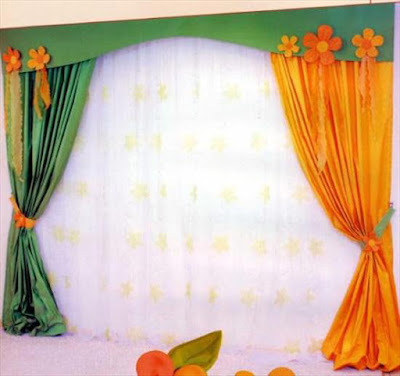 It can be orange ornaments on fabric, yellow hooks for curtains or decorating a windowsill with bright toys of different shades. and other complex colors are very fond of teens. This helps them express their attitude to the world, fix their growing up when the pastel shades of their childhood are replaced by sharp and contrasting combinations of colors, which are a kind of declaration: "I'm an adult!". 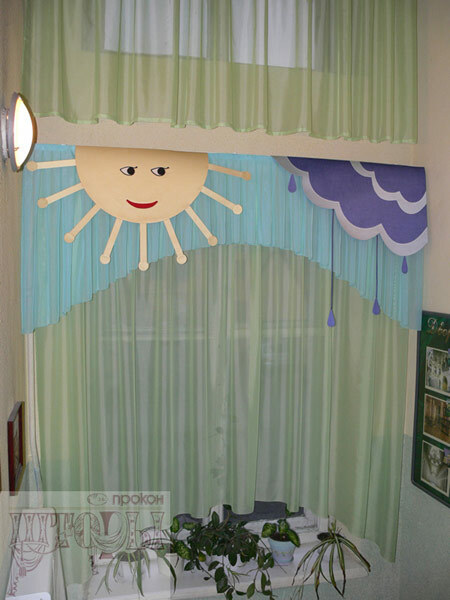 Choosing curtains for a kids room for a boy, it should be remembered that this element is not only decorative but carries a functional load. What is the best design for curtains? 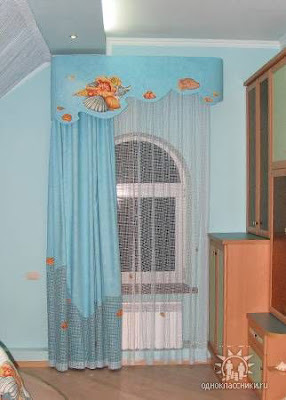 The classic version, consisting of curtains, is not suitable for kids. Too much tissue for the baby, too much temptation to experiment for the baby, too cumbersome for the student, too old-fashioned for a teenager. Roller blinds are an excellent option for a grown-up boy. They can expand the functional load of the window opening, and on the windowsill, you can treble a cozy armchair or reading corner. However, roller blinds are not recommended for the arrangement of a very young boy, since curtains made of natural fabric are more suitable for a baby, and cords and chains can be a potential danger for a grown-up baby. 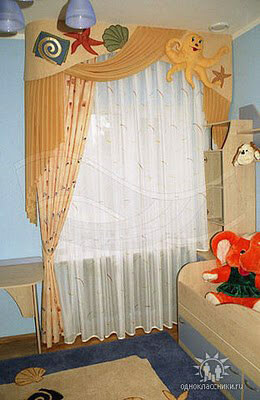 Roman curtains can be made of the most natural fabrics, so their design is well suited for a kid's room. The main problem is the control system since it consists of all the same cords and chains. True, they can be fixed on a height inaccessible to the child, and thus avoid temptation. 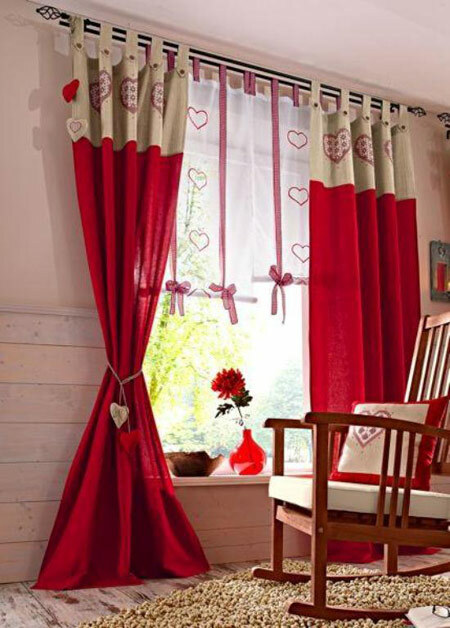 One of the best options is the design of curtains, which are called "cafe". 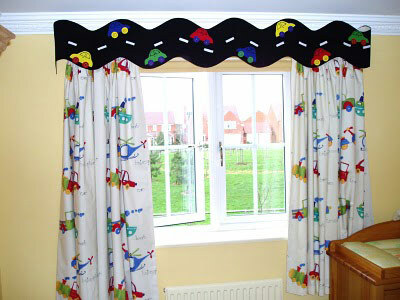 They represent two short curtains of vertical opening and lambrequins above them. They open the light stream, leave access to fresh air, can be made from natural materials of very different colors, so they very well meet the functional requirements. Another good option for curtains in the kid's room for a boy is curtains on the eyelets. They move freely, reliably protect from light, safe, comfortable, at the same time, look stylish and fit any interior style. 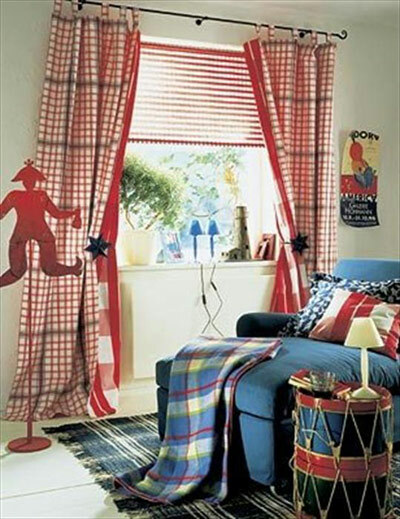 Choosing curtains for the kid's room for the boy, you should consider the tastes and desires of the owner of the room. However, the determining factors for a successful choice are the safety and comfort of the child.